Get your axe back on the road where it belongs. From setups to refrets to customization, Space Guitar Repair is proficient with all makes and models of electric and acoustic guitars, basses and other stringed instruments. Neil is factory-authorized by many manufacturers for warranty repairs (and one of only two factory-authorized Taylor Guitar repairmen in Ohio). Space Guitar Repair is a respected subcontractor for several area music stores in addition to serving a broad spectrum of area musicians on a repeat basis. Neil Bartos has been serving musicians for the past 30 years. As a professional musician and one of Ohio's most experienced master guitar technicians, Neil understands and accommodates each customer's unique needs. With 45 years of luthier experience, Neil serves students, basement players and pros alike — including providing technical support for national acts at Cleveland's Rock and Roll Hall of Fame. Space Guitar Repair is a full-service shop including touchup, refinishing, electronic repair, and customization. We'll take good care of you. Warranty issues will be brought to the customer's attention. Rest assured that the instrument will be returned looking, sounding and playing better than ever. Repairing all makes and models of electric and acoustic guitars and other stringed instruments, Neil will take care of your instrument like it was his own. You've spent a lot of time with that axe. And over the years it's showing it's wear. Time to get it back into shape. Call Neil, get a quote, and rock on. Seriously. Outsourcing guitar repairs frees the music store owner to concentrate on other aspects of the music business that yields higher margins and greater satisfaction. Let a professional pick up your guitar work, perform efficient repairs and return the refurbished instruments to your shop in a quick and efficient manner. Many area music instructors and schools refer their students to Neil at Space Guitar Repair for fast, quality repairs. Space Guitar Repair is fully insured with competitive rates. Customers have creative ways of abusing their guitars from smashing into coffee tables to submerging in water to impaling the instrument on mike stands. 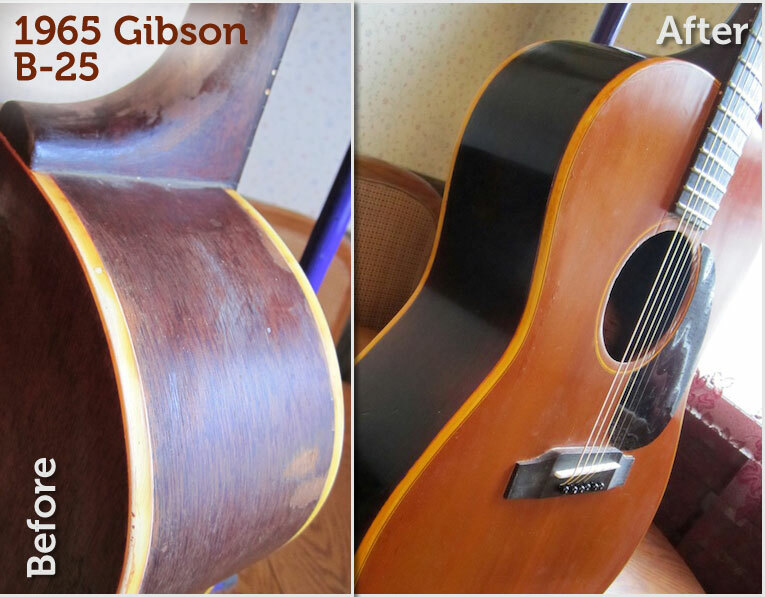 Space Guitar Repair has seen nearly every kind of damage that can be inflicted and can usually offer a satisfactory solution. So bring it on. Repair estimates to assess the extent of damage are free and alternatives are discussed before work is started to ensure there are no surprises.